My dad and I standing in two different varieties of wheat growing side by side on our farm. My name is a Marie Bowers and I am a fifth generation farmer. 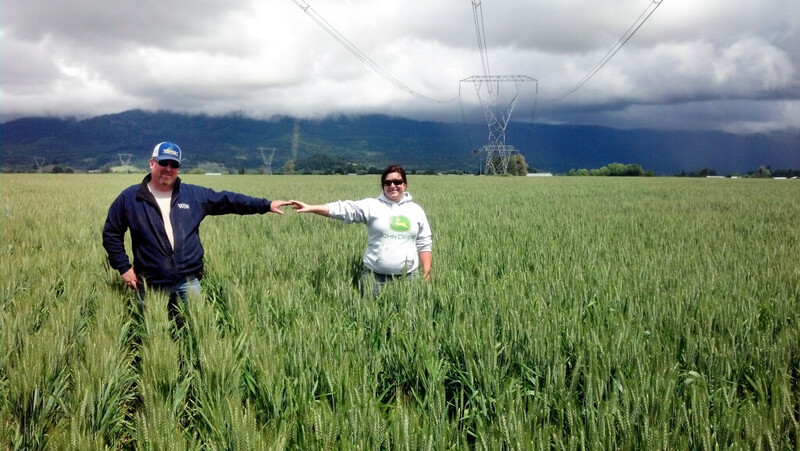 I farm alongside my Mom and Dad on our century farm, Bashaw Land and Seed, in the South Willamette Valley. We grow grass seed, wheat and meadowfoam. Our farm name, Bashaw, is based on the type of soil we farm. 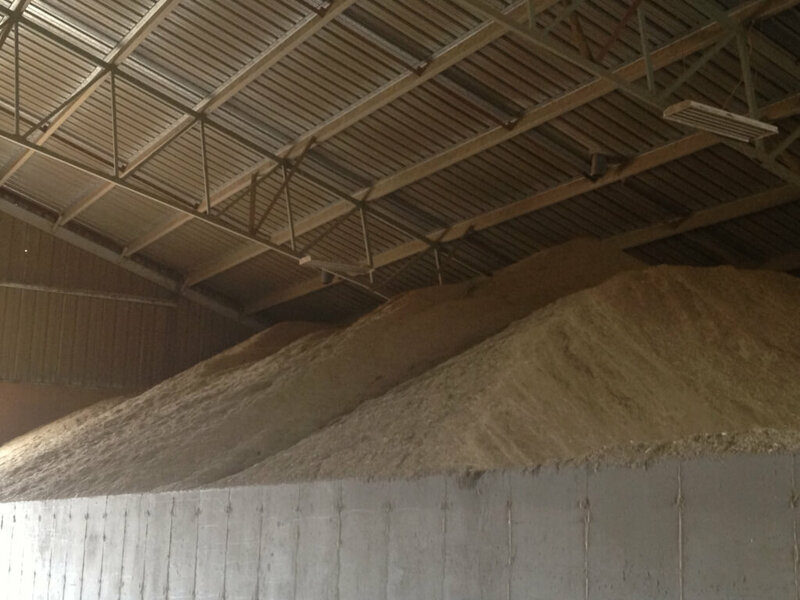 A giant pile of seed stored in our seed warehouse after harvest. The majority of the soil found on our farm is very clay-like and poor draining, which makes it ideal grass seed growing ground but not suitable for much else. Only about a third of the soil on our farm supports our wheat production. Caring for the soil is our top priority as farmers. We use tillage, minimum tillage and no-till methods on the farm in rotation so we do not overwork the soil. 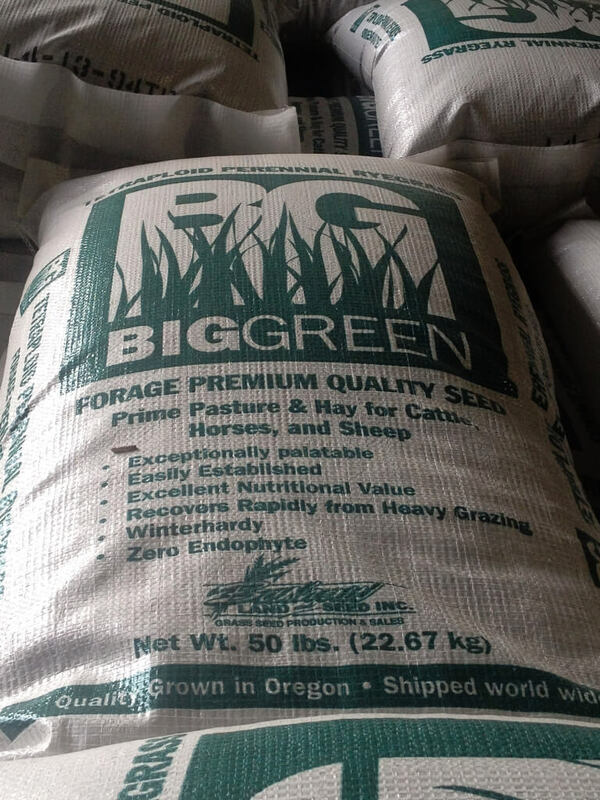 The grass seed we grow is a primary food source for sheep and cattle around the world and locally. During the winter local sheep graze on our fields. The seed that is harvested in the summer goes to pastures around the country and around the world. Other uses for our grass seed include erosion control, cover crops and lawns. 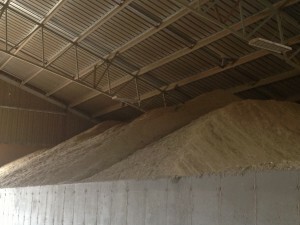 Then, the straw that is left after harvest is shipped to Asia and used as a fiber source in cattle feed. Our variety of perennial ryegrass, ready for cover crops, lawns and pastures. The meadowfoam we grow is an oil seed crop. It is primarily used in cosmetics and makeup. The meal, the by-product from crushing the seeds, is used to feed cattle. Bees are used to help pollinate the flower and in return make delicious honey! Our harvest just ended and we are preparing the fields for planting. Our farm is a constant series of decisions on field work, planting, fertilizing, spraying and harvesting. The farming decisions being made every day are based on what is best for the land and being sustainable for future generations.